I'm not too sure I agree with this image. 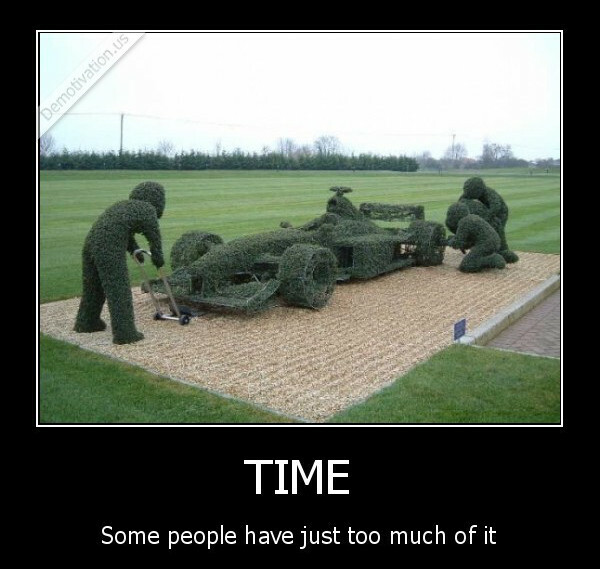 Sure it takes a lot of time to make this absolutely amazing Formula 1 Indy Car getting a pit-stop tire change out of bushes, but the final result is so awesome! So I think it's time well spent. What do you think?